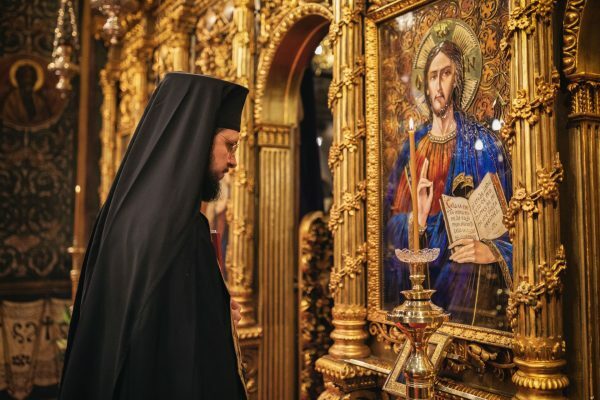 ‘There is no sin which cannot be pardoned except that one which lacks repentance,’ says Saint Isaac the Syrian recalling the importance of repentance, which can offer the possibility of a new beginning in our spiritual life. Why Did the Lord Single Out Mary of Egypt? We started with this quote because the fifth Sunday of Great Lent is dedicated to a Saint who through repentance journeyed all the way from passion to virtue, from death to life: Saint Mary of Egypt. It is not by accident that the Church established her veneration towards the end of the fasting season, but to provide help in our spiritual progress. First of all, it shows us that a human being like us has the possibility to change their life and, by repentance, to reach Christ and become #strongerthandeath. If this woman succeeded, why could we not succeed? Second, through her example, we are encouraged that it is never too late to set a good start and seek eternal life in the Kingdom of Heaven. Of course, by repenting. Is it really so difficult for the contemporary man to repent and turn his eyes to Christ? The answer to this question lies in the heart of each and every one of us, however it is a fact that we must fight against two great passions of the present: spiritual indifference and ease. Repentance means being aware of the state of sinfulness in which we find ourselves and the determination to break out of the spiritual impasse. And the path from sin to virtue, from death to life, goes through the Holy Sacrament of Confession, where we confess our passions and make the decision to stop doing them. Repentance is the ladder that elevates us from where we have fallen. Repentance implies labour, but the contemporary man is so tired with everyday life that he rarely allocates resources for spiritual feats. Repentance is not achieved with the remote control in our hand and sitting comfortably in front of the TV. Or being glued to our smartphone. Repentance implicates the love of God embodied in prayer and prostrations, in regret over the sins committed, and the decision abandon sinful living. Most probably the deterioration caused by earthly living, under the burden of everyday worries, and the comfort provided by our own homes fool us to adhere to a routine where God is left ‘for tomorrow’. Setting repentance for an indefinite future represents the mirage that dissolves brutally and leads suddenly to death. Then we realize that time has passed and repentance turned from an unspecified future into a past impossible to reach. Too late. Repentance must begin now, not later, not tomorrow.